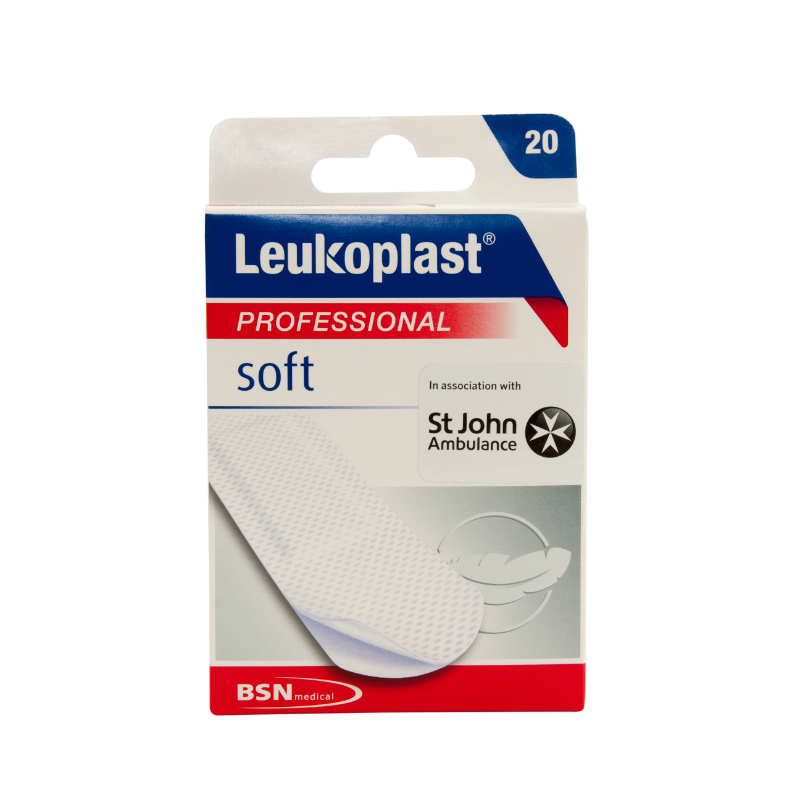 The gentle and easy to remove Leukoplast Soft Professional Plasters 38 x 72mm (Pack of 10) offer comfort and long lasting protection for cuts, grazes, wounds and lacerations. Permeable to air and water vapour, the highly durable plasters, suitable for all types of skin are designed for comfort and wearability. Permeable to air and water vapour Leukoplast Soft Professional Plasters use skin-friendly adhesives creating a breathable and comfortable feel. Sold in a pack of 10 individual plasters, a single pack of Leukoplast Strong Professional Plasters provides numerous and repeated dressings for cuts, grazes, lacerations and abrasions. 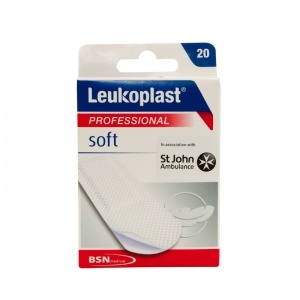 Leukoplast Soft Plasters prioritise comfort above all else. The easily applied and easy to remove, skin friendly plasters are ideal for those suffering from allergies or soft and sensitive skin. The highly permeable, highly aborbant design of Leukoplast Soft Professional Plasters means they're perfect for young children with soft and sensitive skin. The highly adaptable dressings can be used on any skin type and provide comfort and protection for cuts, grazes, lacerations and abrasions anywhere on the body. The Leukoplast Professional Soft Plasters 38 x 72mm (Pack of 10) are usually dispatched via First Class Royal Mail and delivery should be within 1 to 3 working days.